Happy Friday! I’m linking up with Lauren at From My Grey Desk Blog. Check out all the links to other High Five For Friday posts! 1. I got some delicious Chai Tea for Christmas from my mom. I’ve made it a couple of times this week. 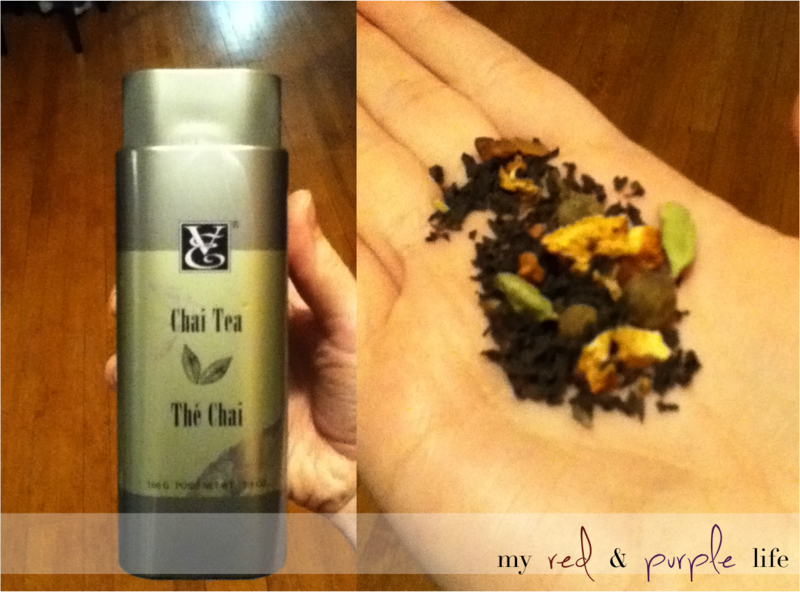 If you’ve never tried stove top Chai, you are missing out! Each time I have some it’s a little time out from whatever is going on! 2. Caleb has been standing on his knees all week! Everywhere I look he’s getting up on something else. It’s been lots of fun, but a little scary since he’s had a number of tumbles and few goose eggs! 3. I am really enjoying this cookbook! 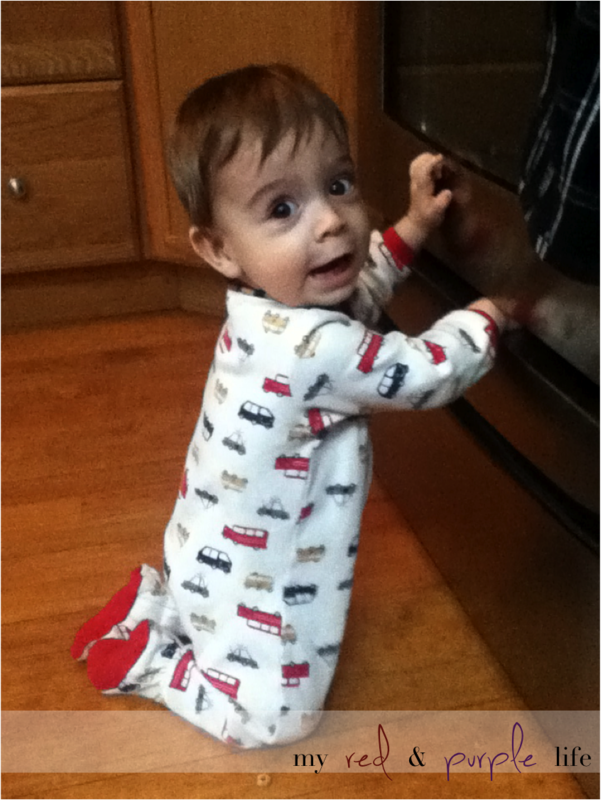 The recipes in here are perfect for Caleb to eat, and for us to have too! 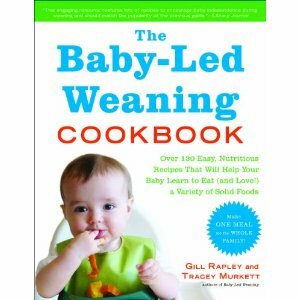 If you have a little one transitioning to solids, it’s a great book to check out! I made him some sugar-less carrot muffins this week that he enjoyed, and I felt great about giving him something I made! 4. 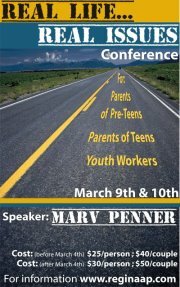 My husband and I are attending this conference at our church this weekend. I am excited about it, but the other part I’m excited for is that my darling boy is going to be spending the night at his grandparents so we can go to it. I am looking forward to a full nights sleep (and I’m hoping he doesn’t keep Grandma and Grandpa up too much)! 5. 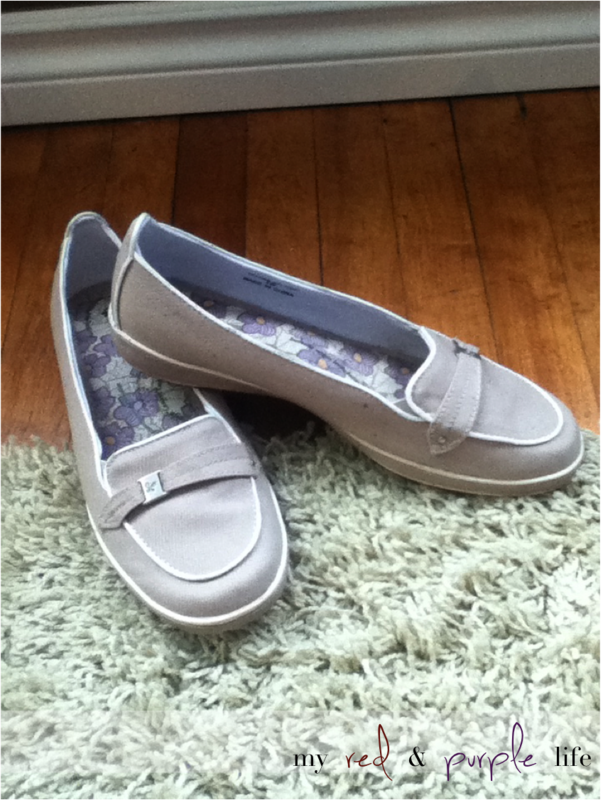 I bought these cute little shoes from Sears Outlet for $9.00, regularly $50.00! They are honestly the most comfortable shoes I’ve worn in a long time. They have a cushy lining that is awesome. Errands was a blast this week cruising the cement floors in these! Have a fabulous Friday and wonderful weekend! Hello all you Friday lovers…yes the weekend is just about here! When I was thinking about today’s post I almost decided not to do it because I didn’t think I had enough high points to this week. Wow, was I wrong! My husband and I brainstormed last night and I was blown away by how faithful God has been to me yet another week in just blessing us with good times and great things. If you feel like you’ve had a rough week, take a couple of minutes just to think about the positives and thank Jesus for taking care of you. Enjoy my high five and visit From My Grey Desk Blog to read more fabulous high five for Friday posts! 1. 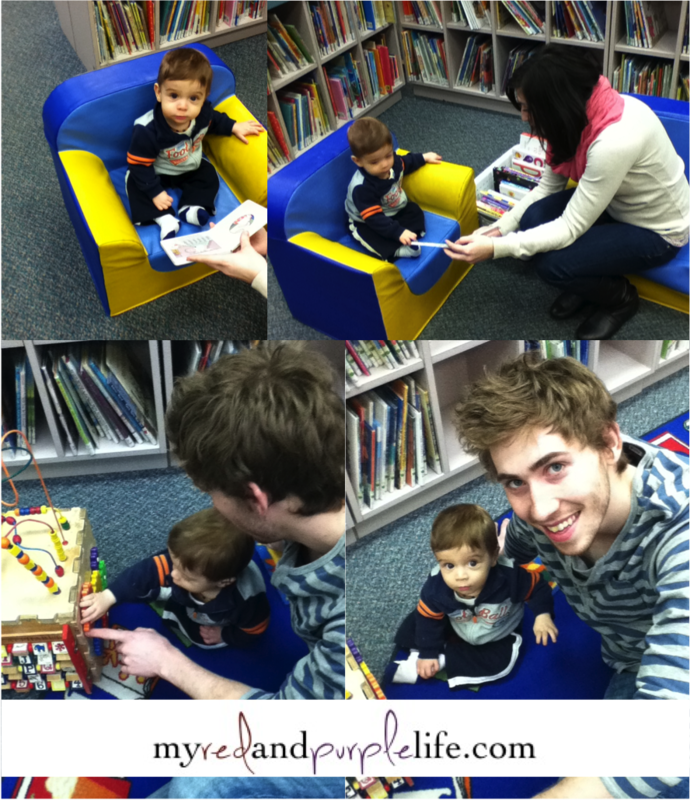 This week we went to the library twice. The first time it was the three of us, and it was so much fun sitting in the tiny chairs for kids reading books, and showing him those cool learning games. He loved it. Then him and I went back and took out some books later. We took out a lot of Sandra Boynton! The Snuggle Puppy has been sung around our house all week! 2. Andrew made me an absolutely delicious sandwich on one particularly overwhelming day! This picture looks a lot like it, but it’s not the exact one. He made chicken caesar sandwiches with salami, tomato, lettuce and onions. It was so good! And it was on whole wheat french bread which is my favourite! 3. I received a phone call completely out of the blue this week that encouraged me so much, and challenged me to be a voice out of the blue for others. You can read about it here. 4. I’ve started trying some fun up-dos! Caleb pulls my hair so much so I’m experimenting with cute and fun ones that aren’t time-consuming. I bought more bobby pins and replaced my mirror that I stepped on and broke. It was hard to see the back of my hair with my blush mirror! 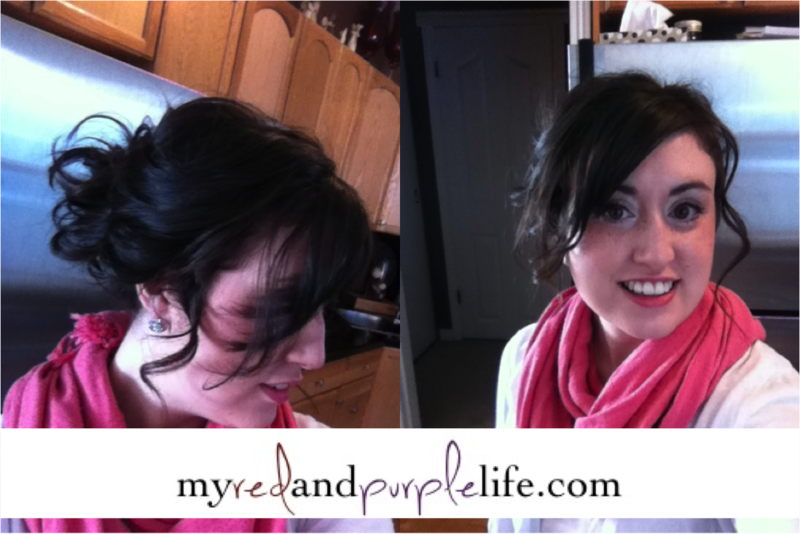 Check out one up-do I did here. This is the double bun from the Small Things Blog. 5. 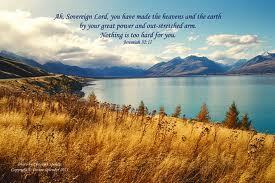 God’s word reminding me of Jeremiah 32:17 that NOTHING is too difficult for the Lord. Hello, Friday! I’m linking up with Lauren at From My Grey Desk Blog. Check out all the other High Five For Friday posts there! 1. Monday was a holiday so we enjoyed some extra time together! We didn’t do a whole lot. 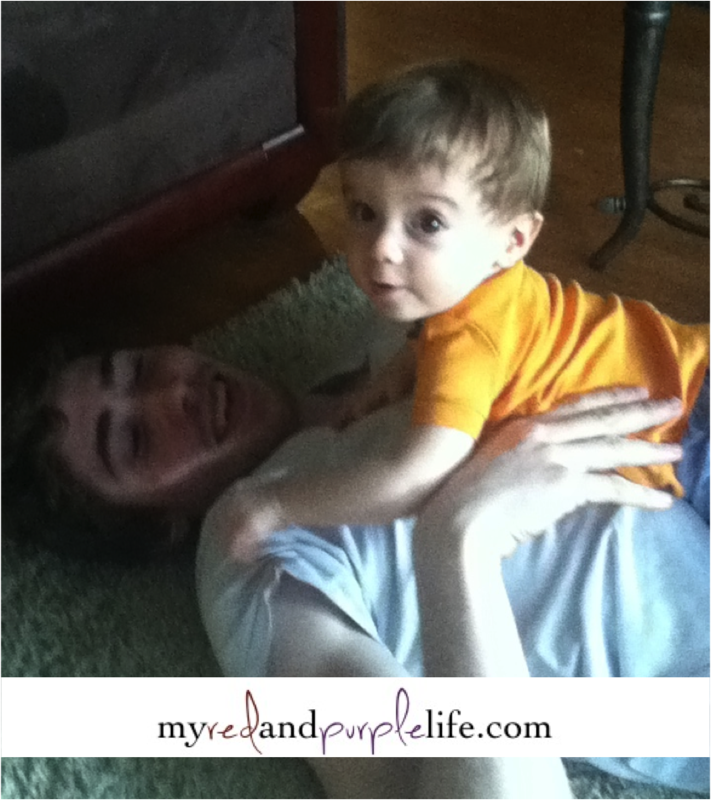 Caleb did enjoy wrestling with Daddy, he was laughing so hard I thought he stopped breathing! 2. I have figured out how to have a successful shower! 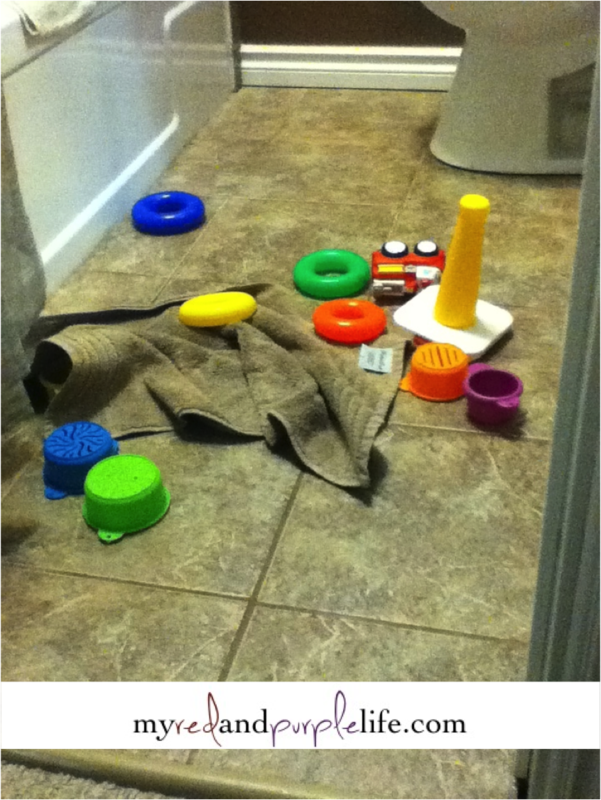 I cover the bathroom floor in toys. Caleb stays occupied most of the time I’m in there. It definitely made the week a little easier. 3. 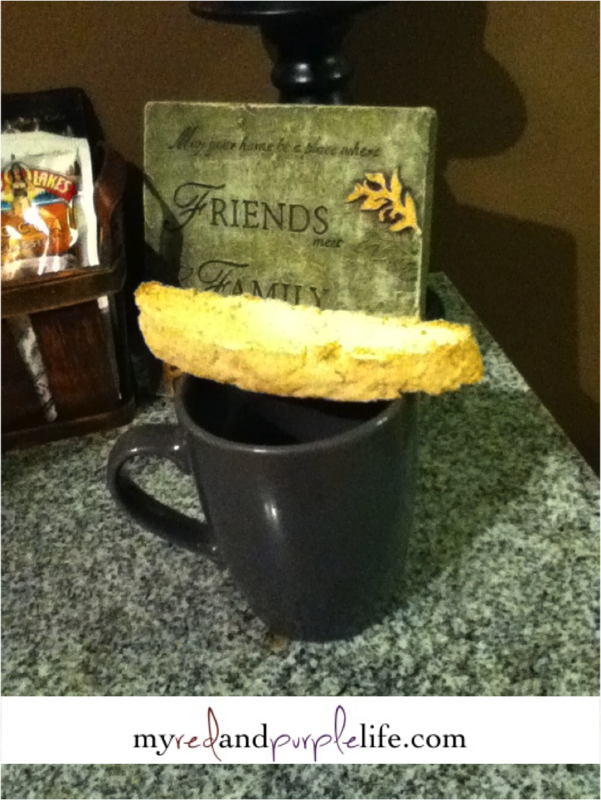 I got together with a friend and we made biscotti this week. It was super delicious and fun to make. You can find the recipe we used here. 4. Yesterday my mom and sister came in to the city and watched Caleb for a couple hours. 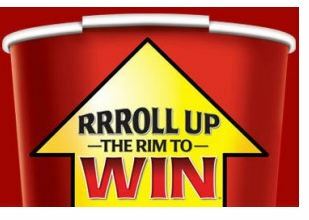 I got some groceries, won on my Tim’s cup (I’m 2 for 3!) and hit up Value Village. 5. 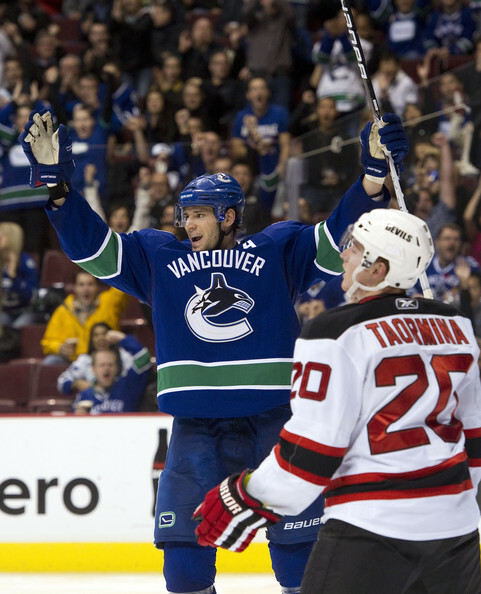 Tonight is Canucks vs. Devils. My husband cheers for the devils, and I LOVE the Canucks. (Ok he loves New Jersey too, I just bug him that he can’t because he never lived there, whereas I did live in Vancouver at one point). I’m excited for this game. I hope Vancouver annihilates New Jersey. Go Canucks!!!! Good Morning! 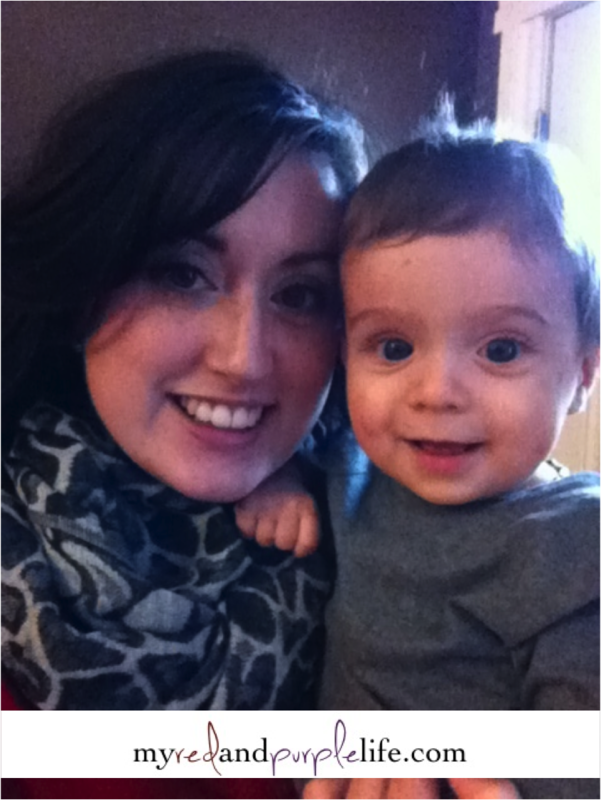 I’m linking up with Lauren at From My Grey Desk Blog. Check out her page to read more High Five For Friday posts! 1. 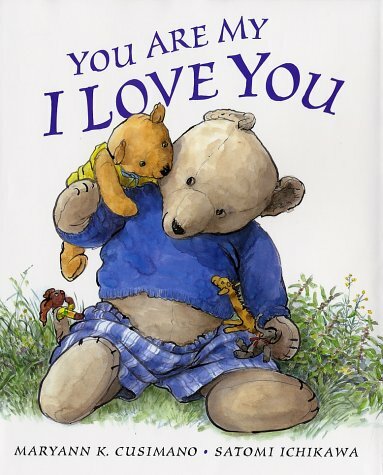 You Are My I Love You – I found yet another book this week that I love, but cannot read to Caleb without crying. It’s so precious. I dare you to read this out loud without tearing up! I’ve included the poem below. 2. Ice Cream Cake – Last night we had one of our couple friends over to celebrate her birthday. I successfully made a Oreo Ice Cream cake, that they flattered me by saying way competitive with Dairy Queen! ha! 3. We celebrated Valentine’s Day on Wednesday. If you haven’t read yesterday’s post, then you don’t know that I’ve had a really long week! So I didn’t last too long out for supper. We didn’t leave until Caleb fell asleep (then my sister stayed with him). We got our food, ate and then I could hardly stay awake. It was nice to take that time out of the week. One of my favourite parts of that supper was that Montana’s now serves their drinks out of mason jars. I loved the look of it! If you click on the image below you can read a little article on when you can use these as glasses, and when you can’t! 4. Focus on the Family Parenting Podcast was so helpful to me this week! It’s only five minutes long, and held just nuggets of gold truth! You can listen to one of the episodes right here. This one was encouraging moms to find their own creative style of mothering, and not try to be someone they aren’t. It was a great reminder to me to stop comparing myself to other moms and embrace my personality and the gifts God has given me. 5. Caleb – When will he not be in my High Five? This boy is stealing more and more of my heart every single day (I didn’t think I had any heart left to steal)! This week he started doing this hilarious thing where he slaps his lips together to make this faint sound, then laughs. His cheeks still right out like a little chipmunk. It’s adorable. I can’t imagine not spending every day with him! 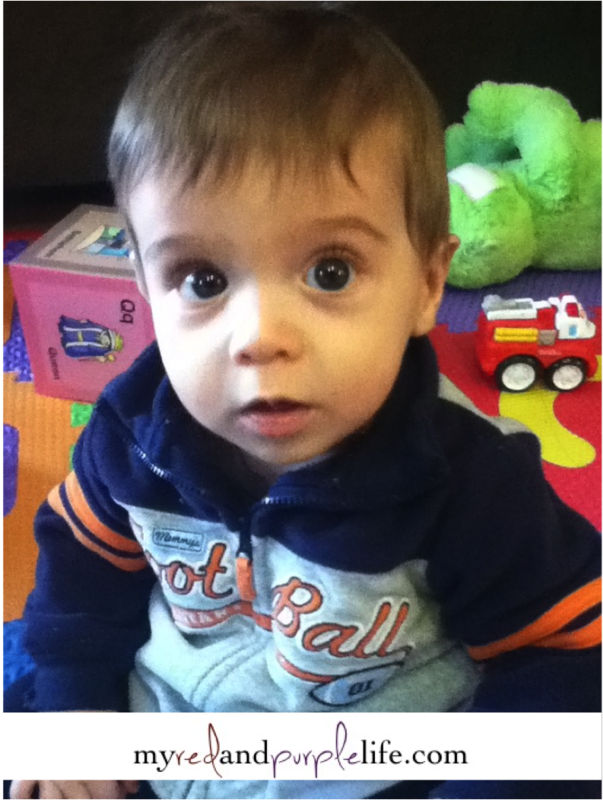 In this picture he’s where this adorable little sweater that says “mommy’s football all-star”. Too cute! Good Morning to all my beloved readers! I’m linking up with Lauren at From My Grey Desk Blog. Check out the rest of this week’s celebrations! 1. 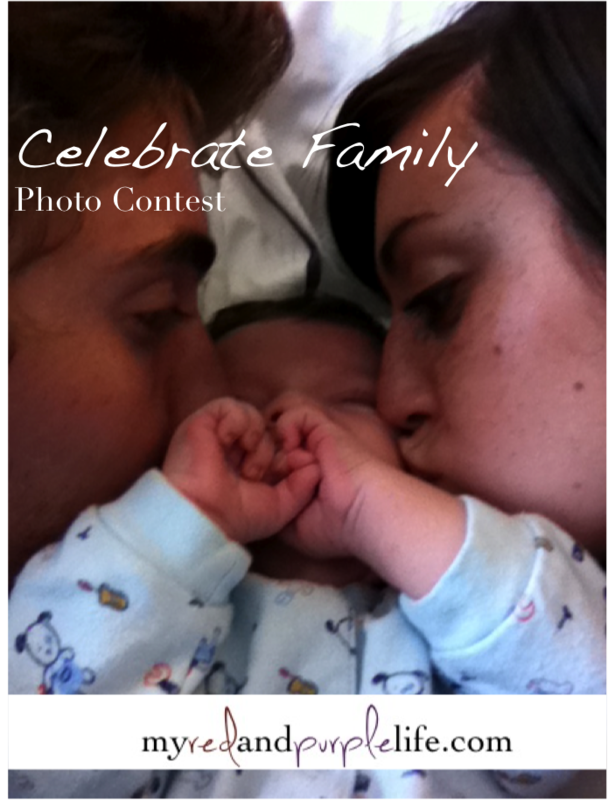 Yesterday I announced that My Red & Purple Life is hosting the Celebrating Family Photo Contest! I am so excited about this, and I really hope you take the time to join in and enter for a chance to have a feature done on your family. This is a great opportunity to encourage people about the importance of investing into others! 2. Monday my husband was home sick after battling a brutal bout of the stomach flu. We were up most of the night on Saturday while he threw up. So Monday was a much-needed rest day for us. We spent Caleb’s first nap back in bed sleeping, and the second watching a movie. It was so good to rest and relax! 3. 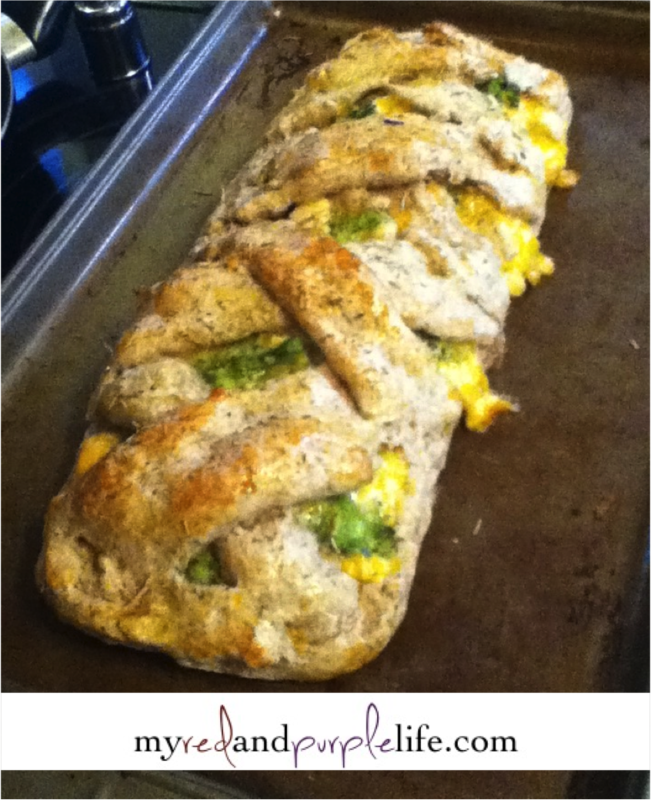 I tried making this extremely delicious, visually impressive, but extremely simple supper: Braided Broccoli, Cheddar and Chicken. We really enjoyed it. You can find the recipe here. 4. We indulged in President’s Choice Brownie Ice Cream. Well, I did. I needed some motivation while my household was sick, so I went out and bought it. It’s unbelievably delicious. Just don’t eat it with really hot tea, my teeth ached from the extremes I was putting my mouth through! 5. Okay, I could have had three points about my son Caleb, but I’m combining them all into one so as to not bore you with too much information on him! This week he cut his first tooth (you can’t see much of it yet), ate Cheerios for the first time and went out for coffee with just me. It was adorable. 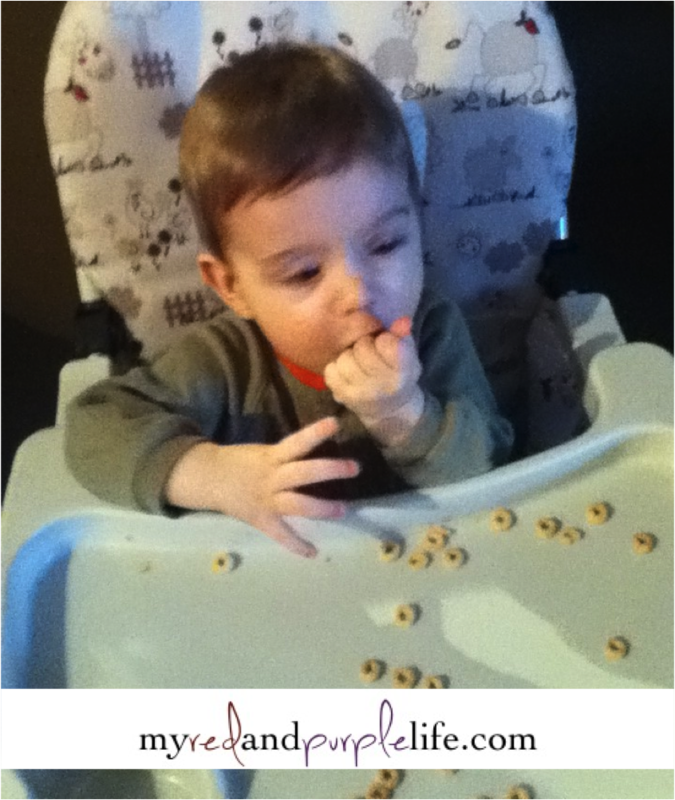 He sat in the high chair at Tim Horton’s, ate his snack, and talked in his language about everything he saw. He’s so precious and has just been an even extra blessing this week to us! Thankfulness is the key to contentment! Celebrate the simple things you experience in life. Find strength in joy. Be bold and share with the world your top moments of the week! Good Friday Morning! I am linking up with Lauren at From My Grey Desk to bring you this weekend welcoming installment of High Five For Friday! 1. Yesterday my little guy and I got a lot of errands done. It did not feel stressful at all however. I usually get back from getting groceries and running in and out of places with him and I’m exhausted. He was a super baby, and it was just like a little date. I love him so much! 2. 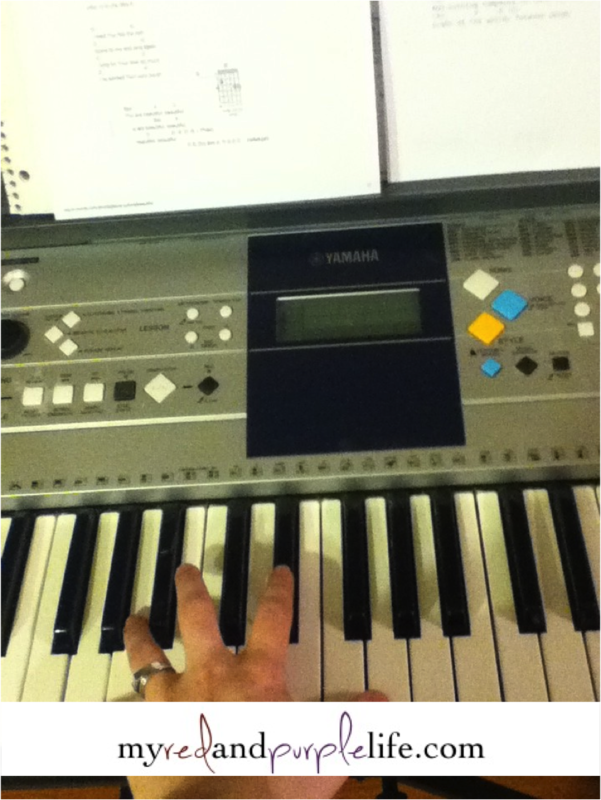 I hauled my keyboard out of storage in our basement and brought it upstairs to do some worship at a Leadership Class my husband and I teach. Wow, I have totally missed playing. I’m really enjoying incorporating it into my day. 3. 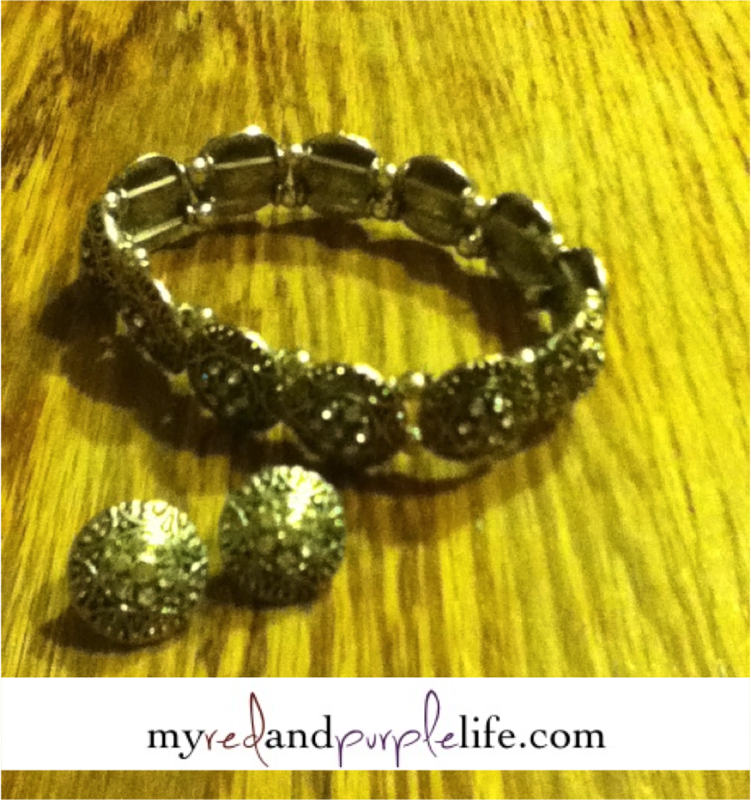 My mom was visiting this week and gave me a super bracelet and earrings for an early Valentines Day gift. I am kind of in love with it. It’s sort of vintage style, and sparkly and beautiful. Definitely a high point to this week! 4. We haven’t pulled all the gifts out for Caleb that we’ve received over his life time, because he’s sort have been a spoiled baby! So every now and then we pull out a new toy. This week my husband pulled out new stacking blocks. 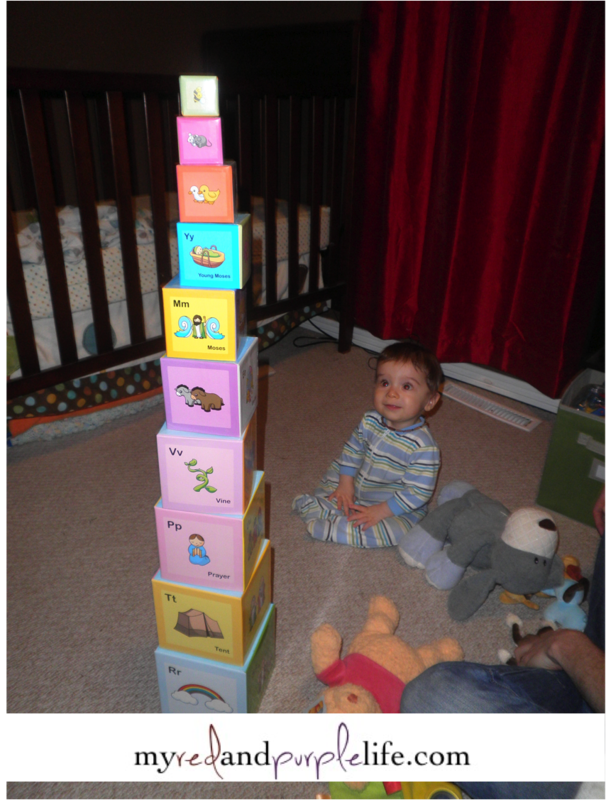 Caleb loves playing “knock it over” and gets really excited if he sees a tower. This one was so big though that he was almost frozen in awe for a moment before he knocked it down. It was so cute! 5. 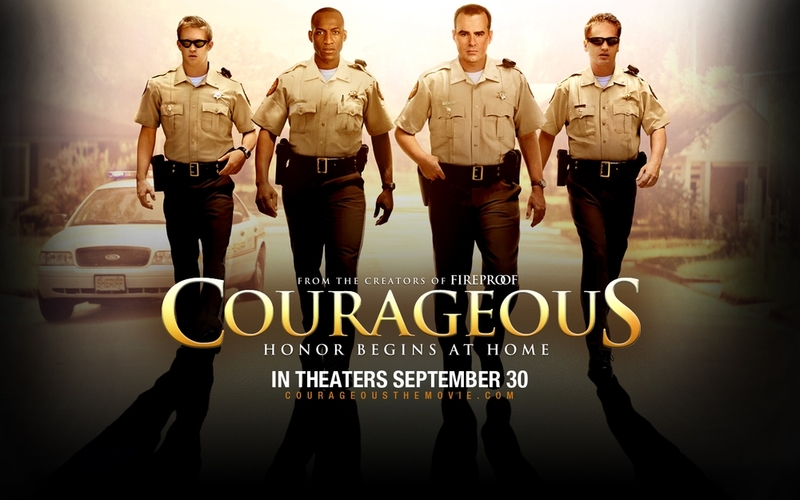 If you haven’t seen Courageous yet, YOU NEED TO!!! Rent it this weekend, watch it with an open heart, a box of kleenex and be changed by the message. They are doing an amazing job making life changing movies! We watched it this week and we deeply impacted by it. What were your top five moments of the week? Share below!